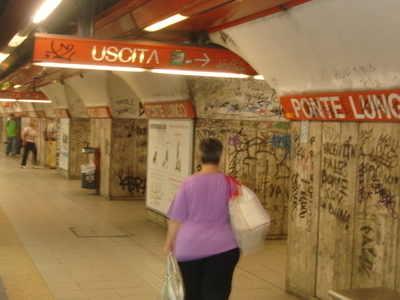 Ponte Lungo is a station on the Rome Metro. It is on Line A and is located in Appio Latino, between Re di Roma and Furio Camillo stations. It is located at the intersection of Via Appia Nuova, Gela, Adria, Albenga and Ivrea. This station can be used as an interchange with Tuscolana Station, which provides the Lazio Regional Raiway serveces of FL1 and FL5. Here's the our members favorite photos of "Metro Stations in Rome". Upload your photo of Ponte Lungo!